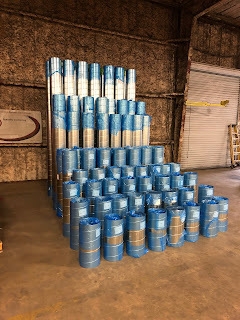 Duct-supply, a division of Louisiana CSI fabricates rectangular and spiral duct for commercial, industrial and residential HVAC systems. 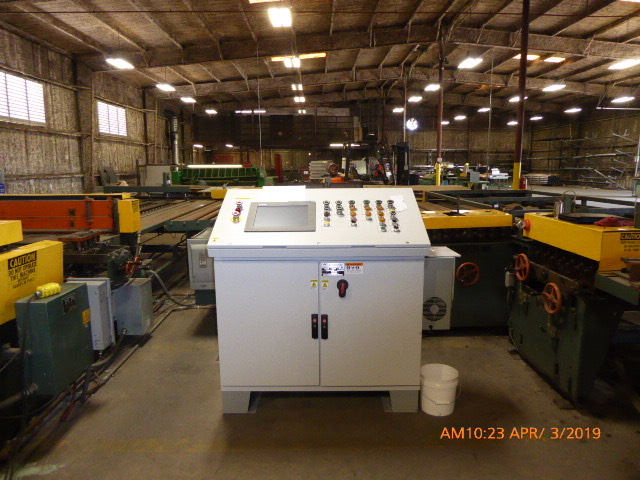 Buy manufacturer direct for competitive pricing on duct products made from American sheet metal. For estimates call 225-343-9125 or email sales@la-csi.com for product catalog. Exciting Shop News! Major Coil Line Upgrades! 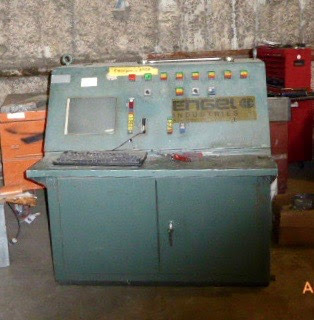 We have upgraded our Engel coil line by installing a new Engel designed and certified Control Console and related equipment. This new console was designed, manufactured and installed by Mestek Machinery out of Cedar Rapids, Iowa. 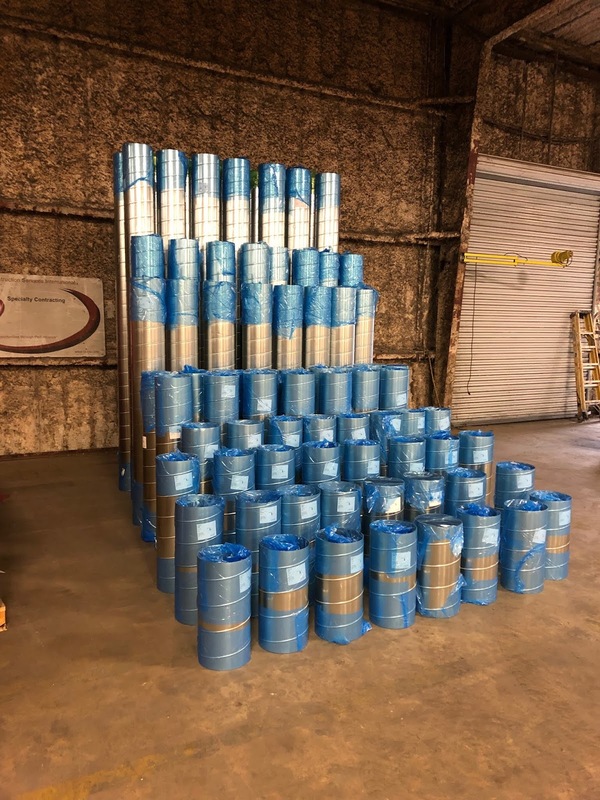 These upgrades will give our coil line enhanced capabilities and performance which will further our abilities to produce high quality rectangular duct for our projects. Contact us today should you require a quotation for all your HVAC duct needs! 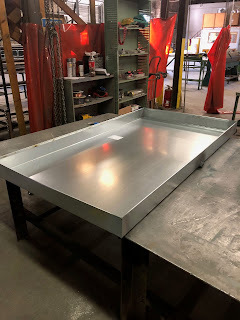 We can produce HVAC safety pans of any size. 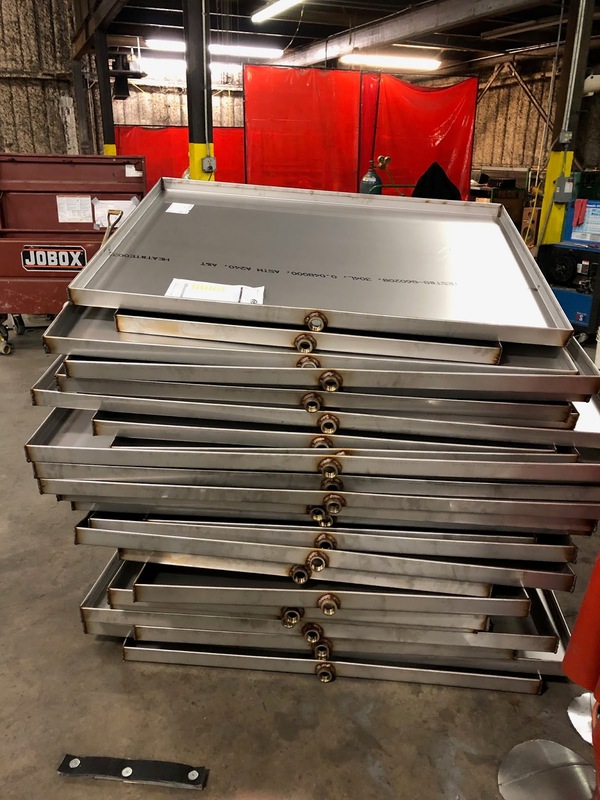 Here are some stainless steel pans in fabrication for one of our school projects. 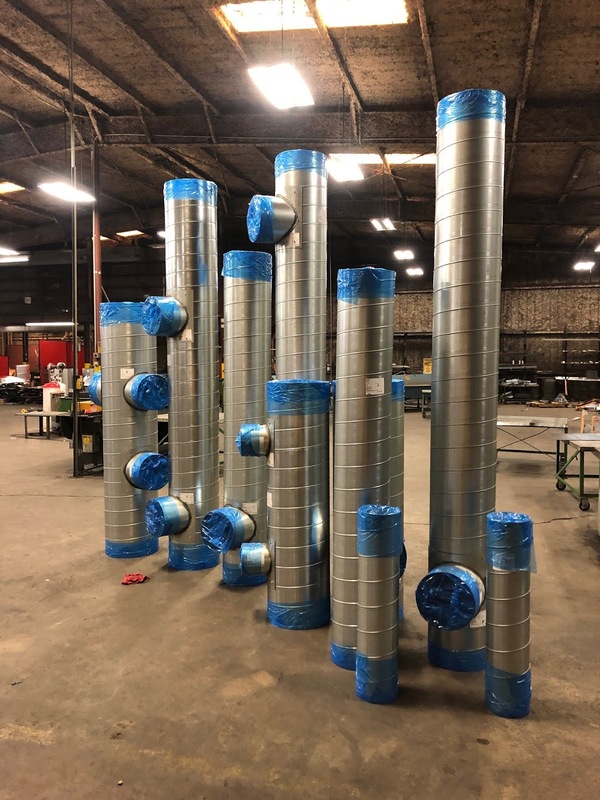 Spiral duct cut to length with added custom taps- ready for shipment! This duct is for a customer completing a HVAC installation at a new grocery store in Baton Rouge. 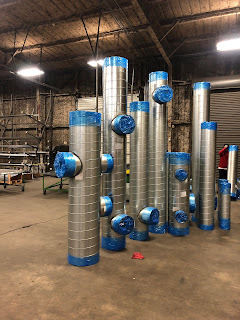 Call us today should you need spiral, rectangular or other components for commercial HVAC duct. 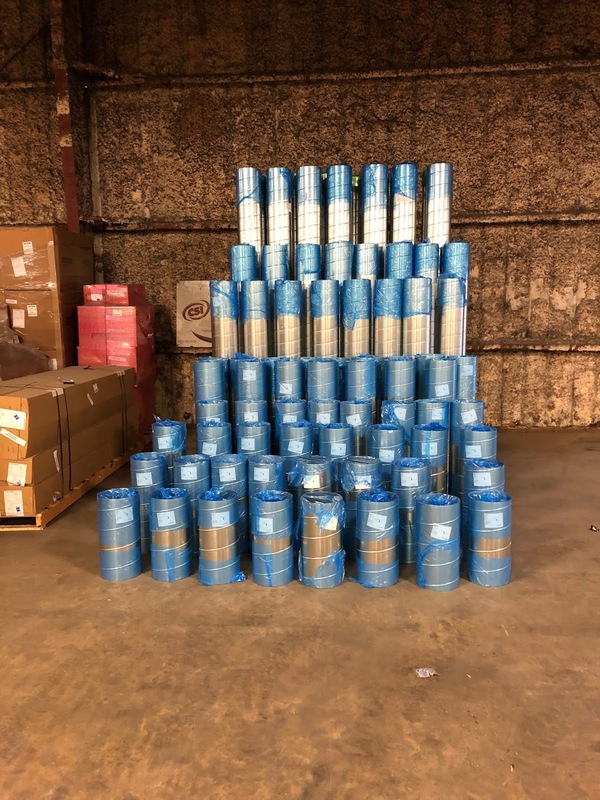 Spiral Duct cut to length for a customer to minimize installation time in the field. Duct is wrapped with protective covering to prevent dust etc. contamination prior to installation. Contact us today to see how we can assist you with your next project! As we begin 2019, we would like to congratulate all of our employees for working 2018 with ZERO accidents and/or injuries. This is an outstanding achievement- and it took everyone's TOTAL COMMITMENT TO SAFETY EXCELLENCE for us to be able to accomplish this! 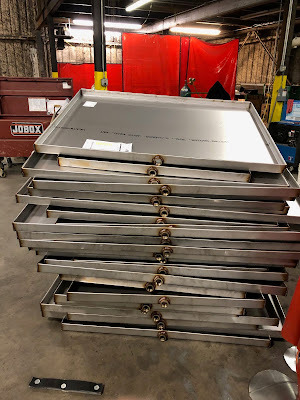 We make very high quality HVAC safety pans. We can make them any size- from small residential type pans to very large commercial applications. Contact us today and let us price the pans on your next job! Visit Scott's profile on Pinterest.